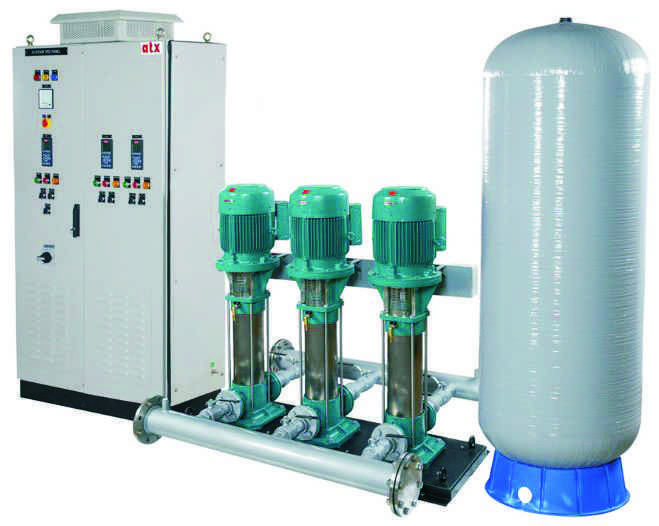 Furthermore PEW offers following pumps for driving the system. Selection is based on the financial implications, space available, location of the system in the premises and the total no. of outlets in the system. b) Motors : EFF 2, EFF 1, Invertor Duty. Fully automatic with level sensors for both underground and overhead tanks. Dry run/ under current protection. Electronic display of Voltage, Amperes, wattage and frequency. d) Other Collaterals: Skid, Suction and Discharge header, Non-Return Valves, Isolating Valves, Pressure switches, Pressure tanks, Float Switches, Pressure transducers & Solenoid Valves and miscellaneous plumbing materials.